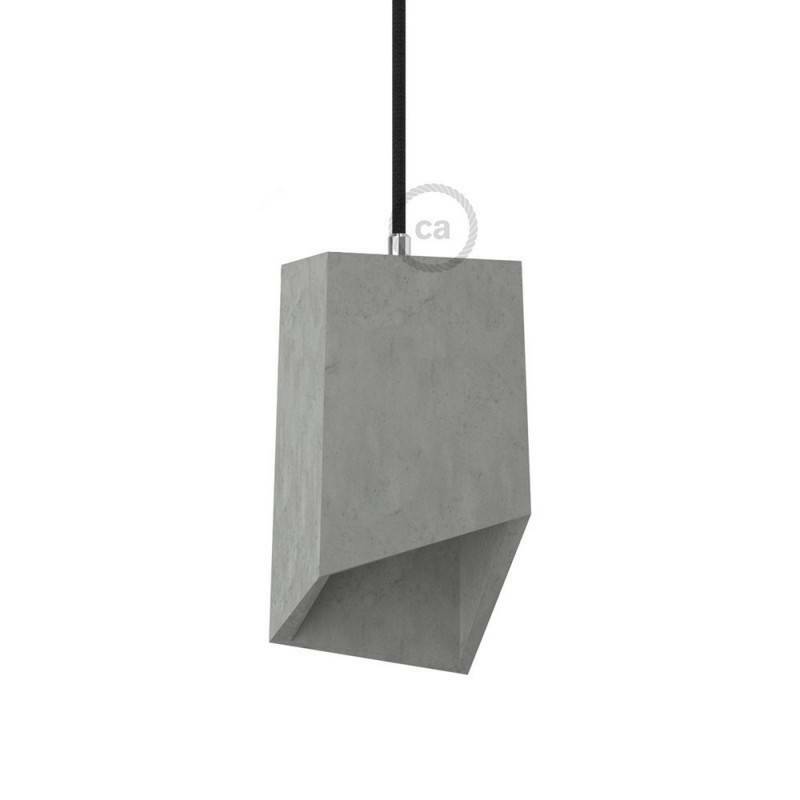 The Prism cement lampshade isn't just like any other cover for your lamp holder, it's an actual lampshade, that will tie your room together. 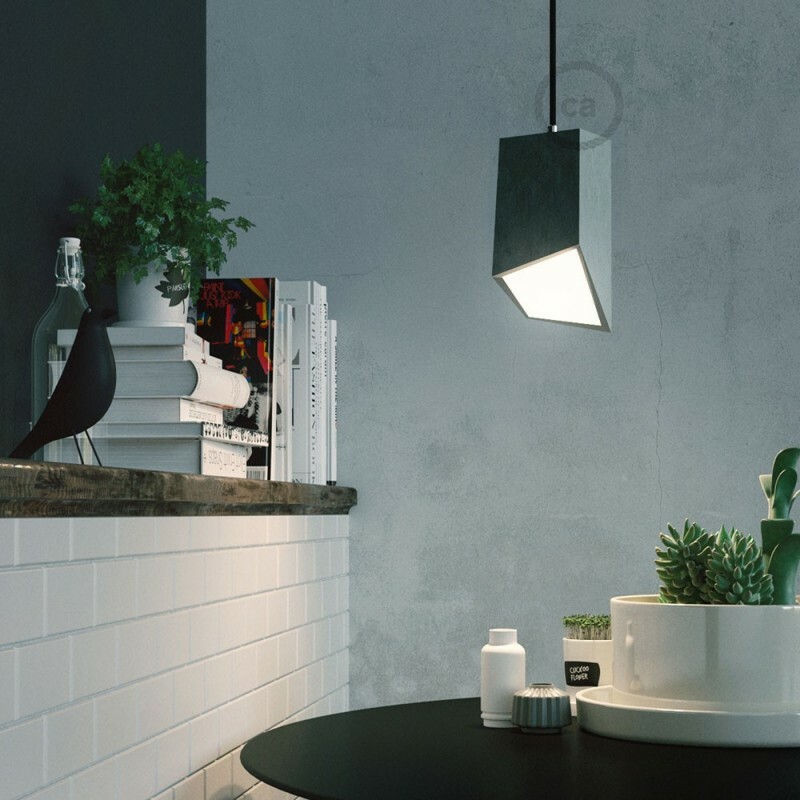 It will stand out thanks to its sophisticated and very modern design, perfect over a bar counter or in any minimal or industrial style setting. 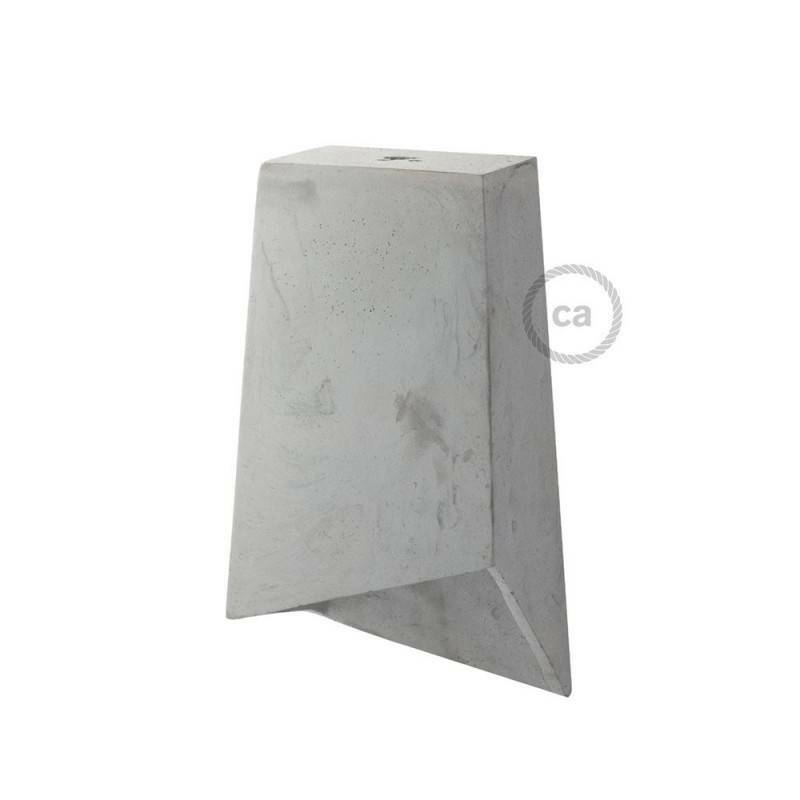 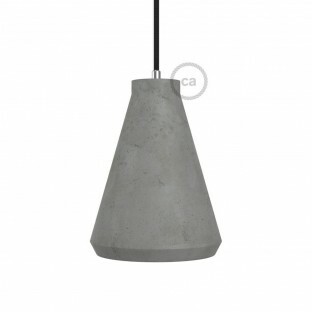 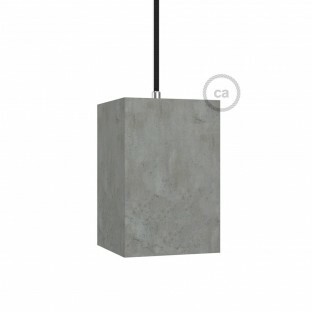 Thanks to the nature of the material, each cement lampshade is unique, making this product that much more special! 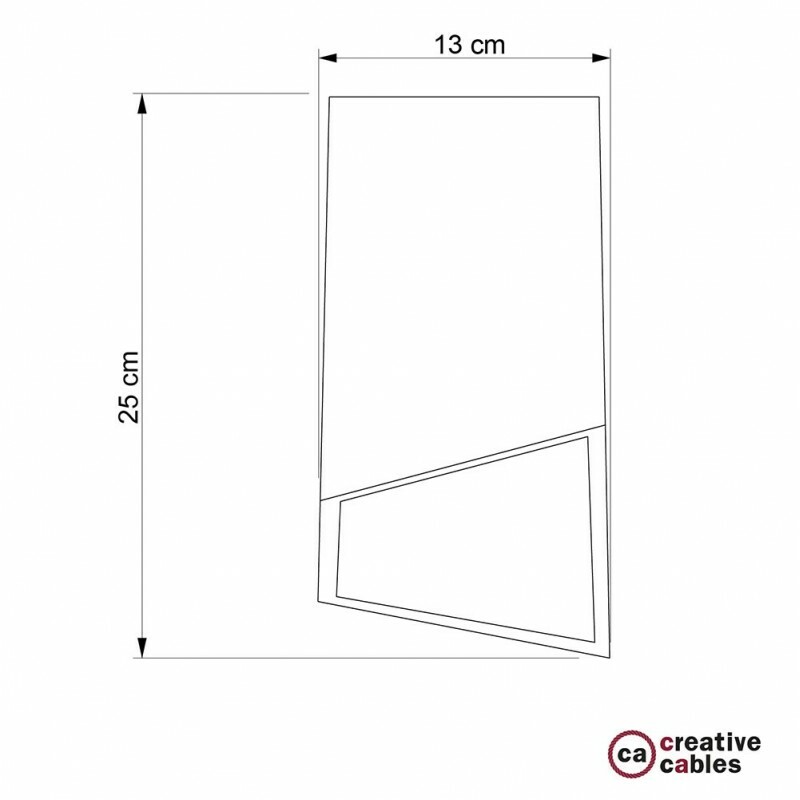 Most of all, the neutral tone and rough surface are ideal to create captivating contrasts with Creative-Cables' coloured fabric cables. 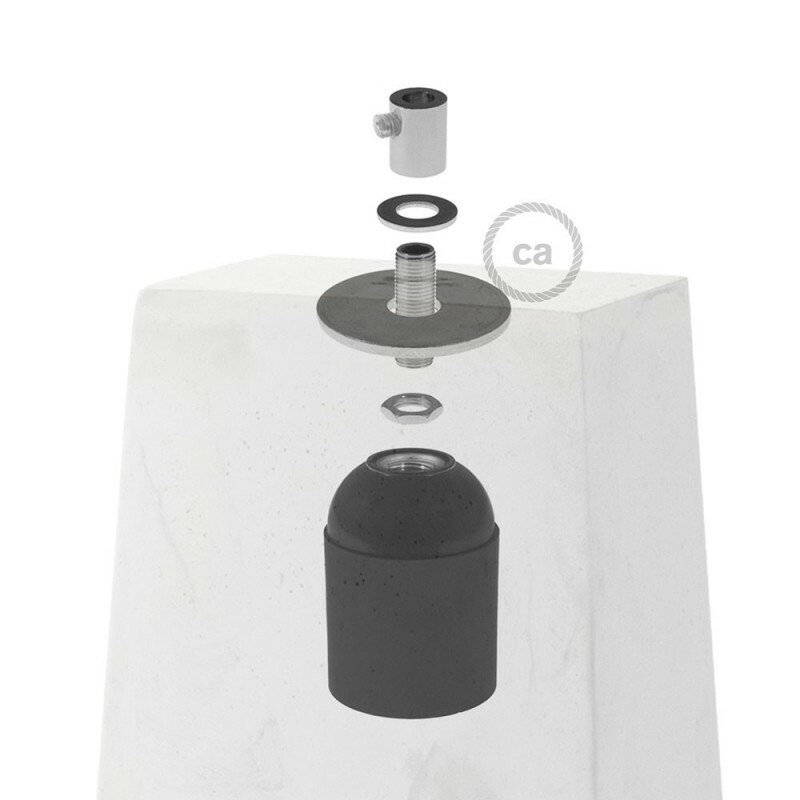 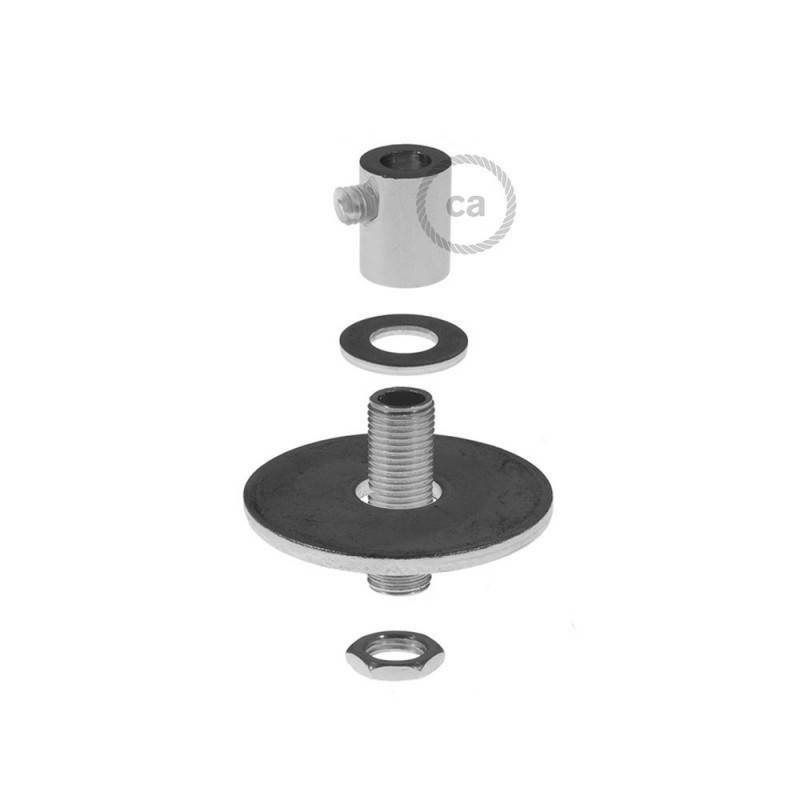 The Prism cement lamp holder can be used with bulbs up to 64 mm in diameter, and comes with a set consisting of threaded rod and washers, a cable retainer and a grounded smooth bakelite E27 lamp holder, IMQ certified. 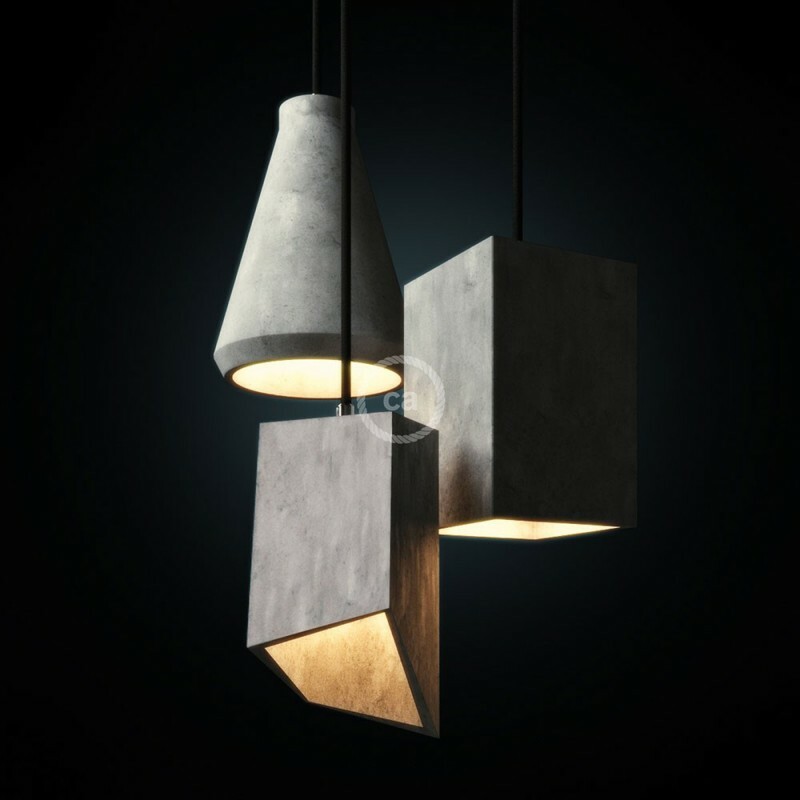 For better safety and durability, with the Prism cement lampshade it is necessary to use Creative-Cables' 3x0,75 cables, available twisted or round in many different colours or patterns.